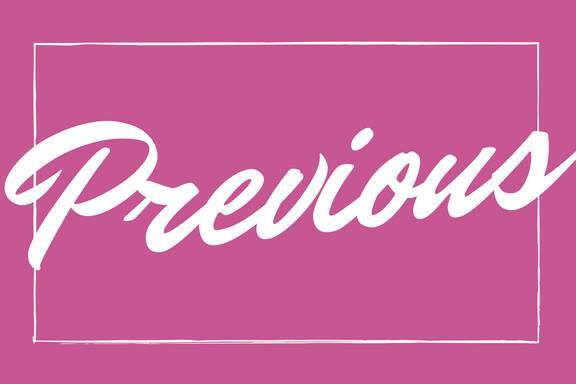 Hello Everyone, I'm joining a group of Inky Friends for the Fabulous at 30 New Annual Catalog Blog Hop, which features amazing products from the new Annual Catalog. 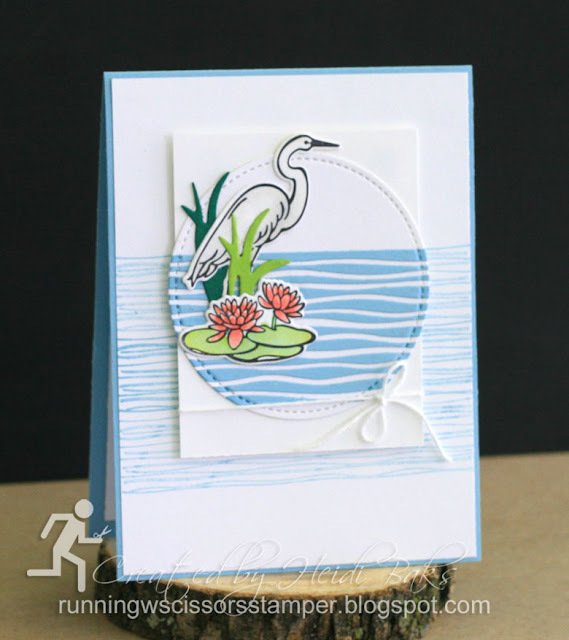 Sit back and enjoy some wonderful ideas using the newest stamping goodies! If you have been following the blog hop in order, you have just come from Kris's blog featuring Sea of Textures. She always has beautiful projects! And today I will show you some projects using the set Lilypad Lake, which also can be bundled with coordinating Lakeside framelits dies. 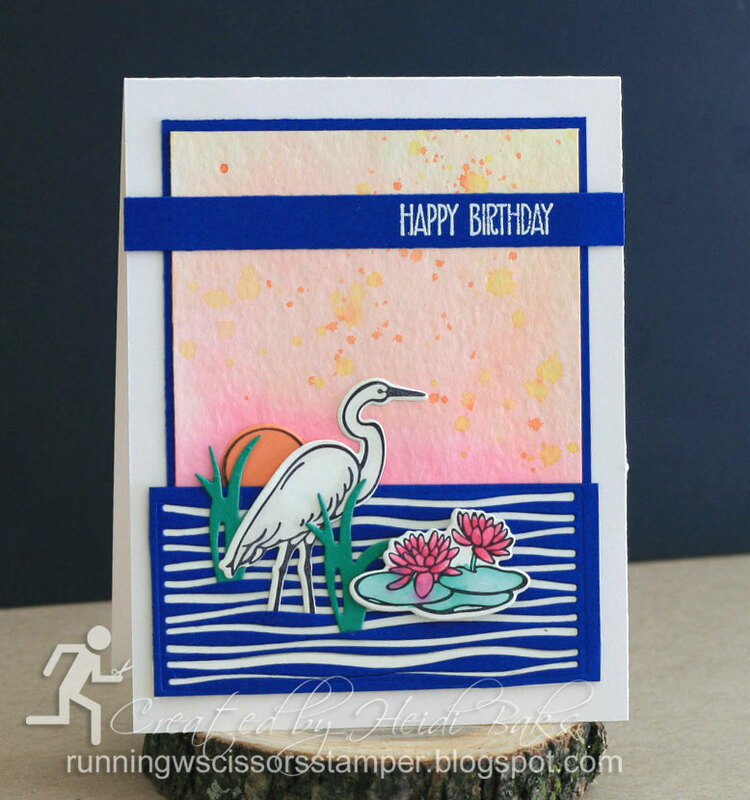 This card reminds me of my uncle's lake house in Michigan, and it uses the latest In Colors. I was quite happy I was able to squeeze in all five colors. It's fun how the watercoloring with Lovely Lipstick made a nice background glow for the setting sun. Stamps: Lilypad Lake, Sunshine Wishes; Paper: Grapefruit Grove, Call Me Clover, Blueberry Bushel, Very Vanilla, Watercolor Paper; Ink: Lovely Lipstick, Grapefruit Grove, Pineapple Punch, Gray Granite, Basic Black, Versamark; Accessories: White Stampin' Emboss Powder, Aquapainter, Watercolor Brush, Lakeside Framelits, Big Shot, Dimensionals. 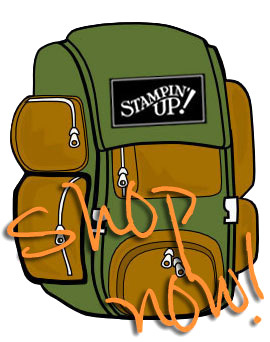 Here I combined a layout from Stampin' Up! artisan Emma Goddard and CAS(E) this Sketch #274 to create a sympathy card, focusing on incorporating some new and returning colors from the Color Revamp. I'm keeping the card simple as it is intended as a masculine card. I also placed the sentiment inside. I love the soft look of the new Balmy Blue, and the Granny Apple Green is vibrant, light, and fun. 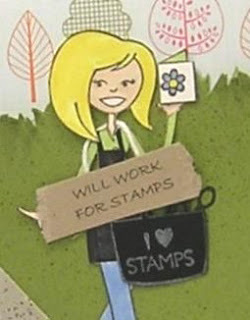 Stamps: Lilypad Lake; Paper: Granny Apple Green, Shaded Spruce, Balmy Blue, Whisper White; Ink: Poppy Parade, Flirty Flamingo, Granny Apple Green, Shaded Spruce, Balmy Blue, Gray Granite, Basic Black; Accessories: White Baker's Twine, Aquapainter, Lakeside Framelits, Stitched Shapes Framelits, Big Shot, Dimensionals. 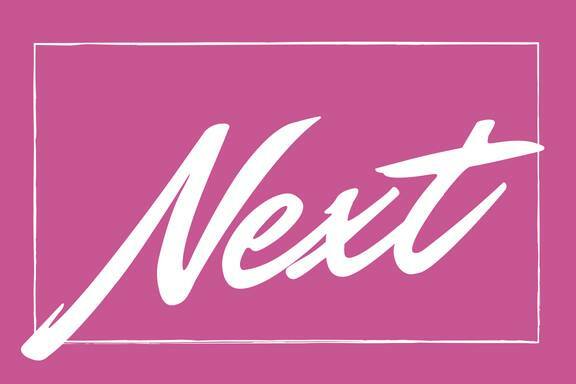 Make sure you check out the next stop to see what Yapha has put together using Handwritten. She has made some amazing projects! Both cards are awesome! I really like the simplicity of the second one. Can't wait to play with this set! Both of these are amazing! I love the watercolor background on the first card and the Lovely Lipstick sunset! The layout on the second card is my favorite. I love how you embellished the circle. The watery lines in the background look so serene. Reminds me of Lake Eufaula here in Oklahoma. Those cranes are everywhere in the mornings. Wowzer. The cards feel totally different, even though they use the same set. I love the bold on the first one and the softness of the second. Heidi, I am loving both of these! That sunset is stunning. Love! These are gorgeous, Heidi! I especially love that second one! Love the second card but can't figure out how you did the water part on the circle. Are you will to share? These cards are phenomenal - both with the layout and the color combos! Love the totally different feel of BOTH cards! Well done, Heidi! Joan, I glued the water die-cuts to the cardstock, and then I cut out the circle. HTH! Such striking and pretty cards! Beautiful work!